Honda's domestic sales were down by almost 20 per cent when compared to September 2017 at 14,820 units in September 2018 while exports stood at 545 units. Honda's domestic sales were down by almost 20 per cent in September 2018. 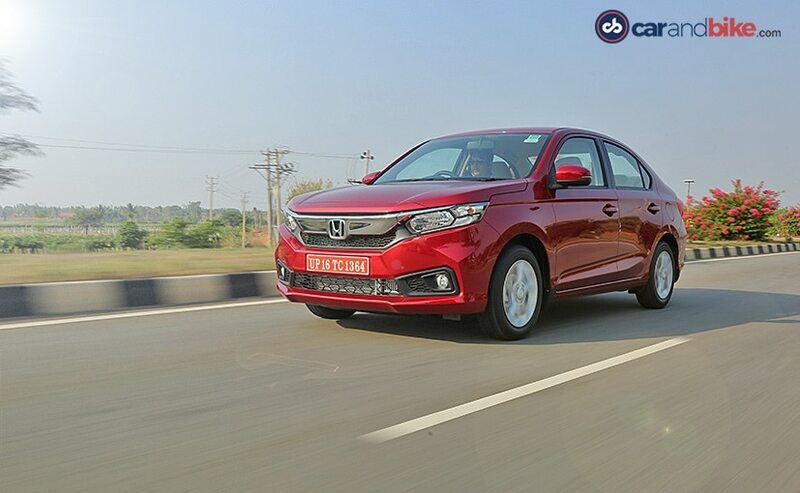 Honda Cars India registered a cumulative growth of 3.5 per cent during the first half of the Financial Year 2018-19 selling 94,419 units during April - September 2018. The company had posted sales of 91,269 units in the corresponding period in 2017. However, the company's domestic sales were down by almost 20 per cent when compared to September 2017. The company recorded monthly domestic sales of 14,820 units in September 2018 while exports stood at 545 units. Mr. Rajesh Goel, Sr. Vice President and Director, Sales and Marketing, Honda Cars India Ltd said, "HCIL registered a cumulative growth of 3.5% in the first half of fiscal year 2018-19 backed by strong demand for the newly launched All New Amaze. The subdued market sentiment combined with higher base of Sept'17 and onset of Shradh period in Northern India from last week resulted in lower sales in September compared to last year. In order to keep the dealer stock within our norms, we rationalized the wholesale dispatches in Sept. We expect that the festival period improves the market sentiment and results in positive sales in the coming month." The company is all set to launch the CR-V in the Indian market on October 9,2018 and will probably see a surge in the festive season that follows.